Cantor Linda Baer joined the Bet Aviv family in July 2014. She retired in June of 2018. Her goal is pursue the twin passions of creating art and music in service to Tikkun Olam. Cantor Baer was born in Baltimore, MD. 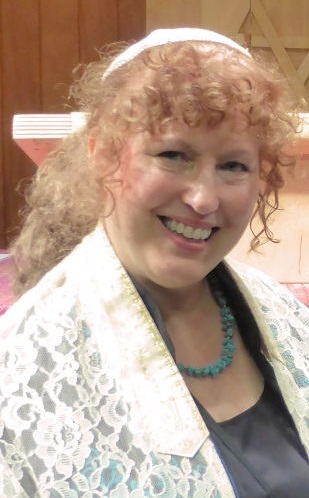 She studied voice and piano at Peabody Conservatory, received a diploma from the Baltimore Hebrew College, was awarded a BA degree in Foreign Language Education at the University of Delaware and received training at the Cantorial Program at Maalot Seminary where she studied with Reb David Shneyer. Before joining the spiritual community in Columbia, Cantor Baer served as the cantor for Beit Tikvah in Baltimore and Congregation Hevrat Shalom in Gaithersburg. From 2008 until 2013, Cantor Linda was the cantor and an educator at congregation Shalom Aleichem in Columbia. During that time, she planned services in collaboration with the rabbi, led musical Jewish liturgy during services, and facilitated congregational singing and worship. In addition, she composed and performed new music for Biblical themes, Jewish holidays, Shabbat, and issues relevant to the Jewish community. In the true spirit of Columbia, she facilitated and participated in Interfaith activities. During her tenure at Shalom Aleichem, she taught music to students in grades K-7 for the congregation’s religious school and tutored students for B’nai Mitzvah. Cantor Baer has experience in pastoral care and counseling for congregants. She has officiated at life cycle events including Bar/ Bat Mitzvahs,weddings, funerals, and unveilings. In addition to being a cantor, Cantor Baer is a performing singer and song writer. Her original Jewish and secular songs are steeped in world folk music, Americana roots music, and classical art song. Along with this talent, she is also a graphic artist who has created Jewish ritual objects in ceramic and fabric, illustrated song books, and is currently writing a children’s book. Cantor Baer is married to John Rudesill, a retired engineer who still teaches, and they live in Columbia.